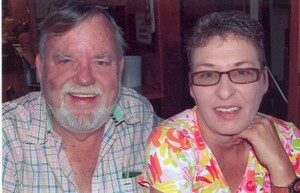 We are Keith & Donna Green from Lufkin, Texas. We have been married almost 30 years now and between us have 3 sons from previous marriages. My oldest, David, is married to Kim, and they have 2 kids, Courtney (6) and Conner (3 1/2). Donna's son Scott is married to Shelley, and they have one son, Austin, age 9. Shelley also has a son from a previous marriage, Bo, 18. Kevin, my youngest, is not married. Our careers, at least for the last 30 or so years has been in various phases of real estate. I owned a couple of Residential Sales office, the last of which was a RE/MAX office. I personnaly mostly did commercial sales and development, while my agents did most of the residential sales. I sold the RE/MAX office some years ago, reduced my sales staff to ZERO (no more agents to deal with), devoted my time to only commercial deals. And now I only do deals that 'track me down'. In addition to selling commercial property, I have been a general partner since 1975 in a local company that has developed close to 2 million square feet of retail space including one mall. Our company was one of the first two companies to develop a shopping center in Texas with Wal-Mart. I guess you could say we were in on the 'ground floor' with Wal-Mart. Our first store in Texas also was the 5th store in Texas for Wal-Mart. Donna started her 'real estate management' company in 1978, and has been growing ever since. She now has expanded with properties throughout East Texas and supervises the management of of over 1000 apartments, as well as single family homes, mini-warehouses, office and commercial properties, and shopping centers.